Winery chef Todd Knoll joined Jordan in 2003 as chef de cuisine, working for former Executive Chef Udo Nechutnys. He was promoted to executive chef in 2007 and today oversees the entire Jordan culinary program, which includes preparing gourmet food pairings for wine tastings, cooking meals for Jordan Estate Rewards members, creating party menus for special events, managing the garden and crafting Jordan Estate Extra Virgin Olive Oil. Born into a military family in 1969, Chef Knoll was raised in Hawaii, and draws inspiration from his childhood home and Asia when creating recipes for lunches, dinners, parties, and hors d'oeuvres for Tours & Tastings. Jordan’s house style—balanced wines with bright fruit, soft tannins, crisp acidity and low alcohol—allows this winery chef to push the envelope with counter-intuitive ingredient selections in his wine country cooking. His cuisine utilizes seasonal produce from the winery garden and orchard in Healdsburg, as well as local growers and artisanal purveyors. In the garden, Chef Knoll focuses on growing heirloom varieties of produce and other delicate fruits, vegetables, lettuces and herbs that demand the daily care he and his staff can provide. He also leads Jordan’s stone-fruit tree grafting experiments and makes his own sea salt by collecting water during his travels to Hawaii, Mexico, Greece, France and the California coast. 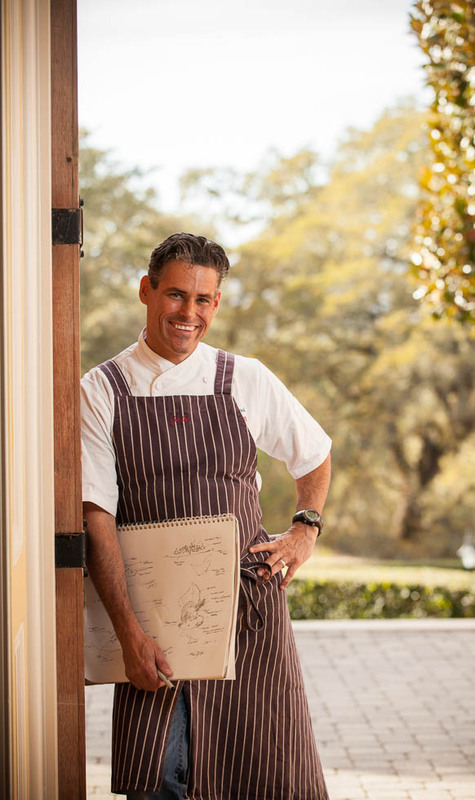 An artist at heart, Chef Knoll’s penchant for drawing architectural-style plans of dishes the day before an event could impress fellow chefs as easily as fine art professors. Before becoming a respected Healdsburg chef, Chef Knoll worked at the Ritz-Carlton San Francisco, where he served under the direction of Executive Chef Jean-Pierre Dubray. In his fourth year with Ritz-Carlton, Chef Knoll was named chef saucier for his culinary skills and extensive knowledge of the different taste profiles that are required to create fine sauces and soups. He graduated with honors from the California Culinary Academy in San Francisco in 2000. He lives in Windsor, Calif., with his wife, Nitsa Knoll, who oversees hospitality and special events at Jordan, and their son, Petros.